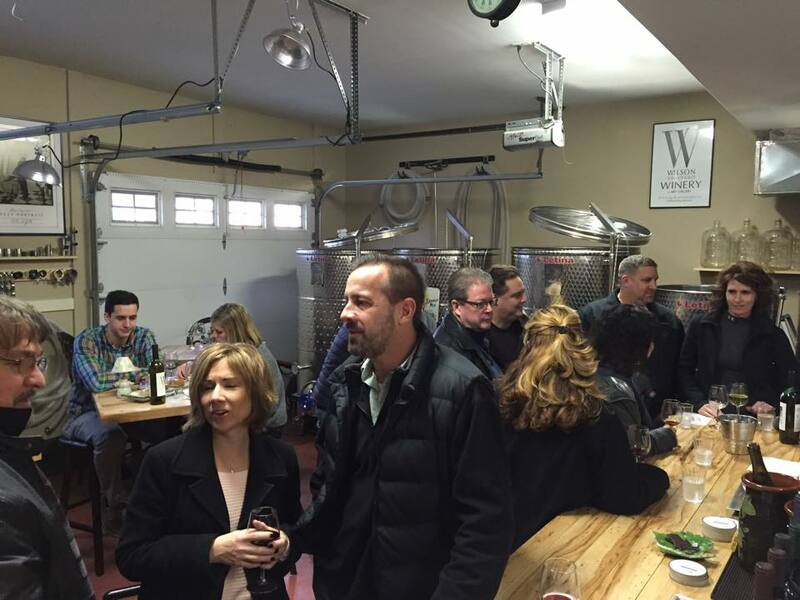 “…in fact, the 3 year old vineyard is one of the best in the region, superbly designed for balance and well-groomed." – Mark Chien, State-wide Viticulture Extension Educator at Penn State Univ. April 2010 we planted 3,200 vines covering 5 acres of ground. This consisted of 1,600 Cabernet Sauvignon, 800 Merlot, and 800 Chardonnay. It took us two full weekends and some help from some of our closest friends to get them all in the ground. Before the vines arrived, Dave was freaking out because he thought we were in over our heads. Zach informed him it would all be done and we would be playing golf on Sunday. At the end of the second weekend we finished planting late Saturday evening. However, we never did make it to play golf the next day because everyone was too worn out. A successful first growing season made us eager for the next. After pruning and tying through the cold months of the winter, soon enough it was April and time to plant again. This year we planted only 2.5 acres, around 1,800 grapevines. This planting consisted of 800 Riesling, 360 Cabernet Franc, and 600 Barbera. Since we kinda knew what we were doing at this point all the vines were planted on Friday and Saturday, and once again the day was free on Sunday to play golf. Of course we never made it golfing because like the previous year exhaustion took its toll. However, there was no time for rest because bud break was just around the corner. We weren't expecting too many grapes in only the second season. As the summer went on we realized we were going to have a decent size crop, which needed a home. After a wet growing season our first plot of grapes looked exceptional, yielding 6,000-8,000 lbs. Fortunately before harvest, another young vineyard/winery approached us to buy grapes. 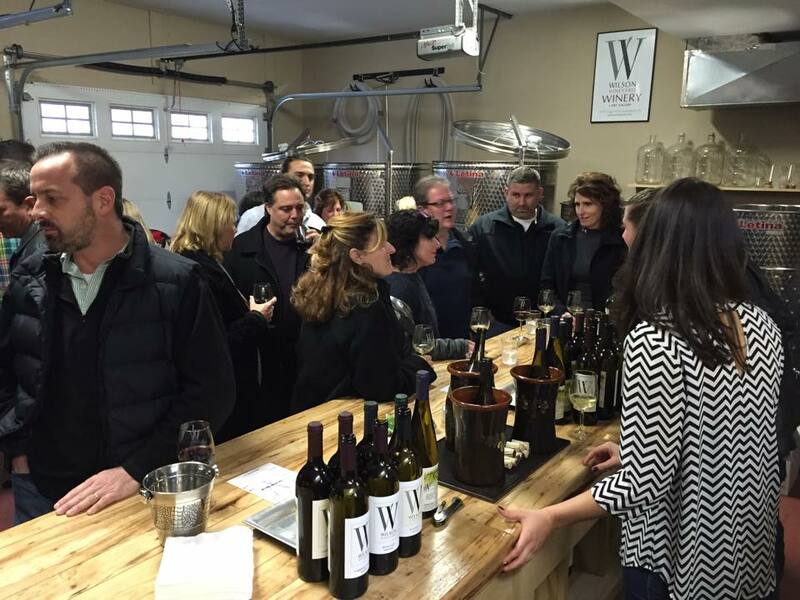 Borderland Vineyard, owned by Kurt and Karen Kalb became our first customer; the begininning of a longtime relationship. Borderland Vineyards purchased our Chardonnay and Merlot grapes for their first vintage as a winery. We started growing grapes with every intention of opening a winery in the future. Since the grapes were available, we decided to make a small batch to get started. Carl, a family friend, was a huge contributor in this by supplying us with equipment and knowledge to get started. Two French Oak barrels were purchased, and the winemaking began. We harvested Cabernet Sauvignon and the 'Mystery Grape' resulting in our first successful vintage. 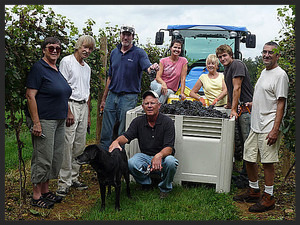 Family and friends came out to help harvest this years vintage. 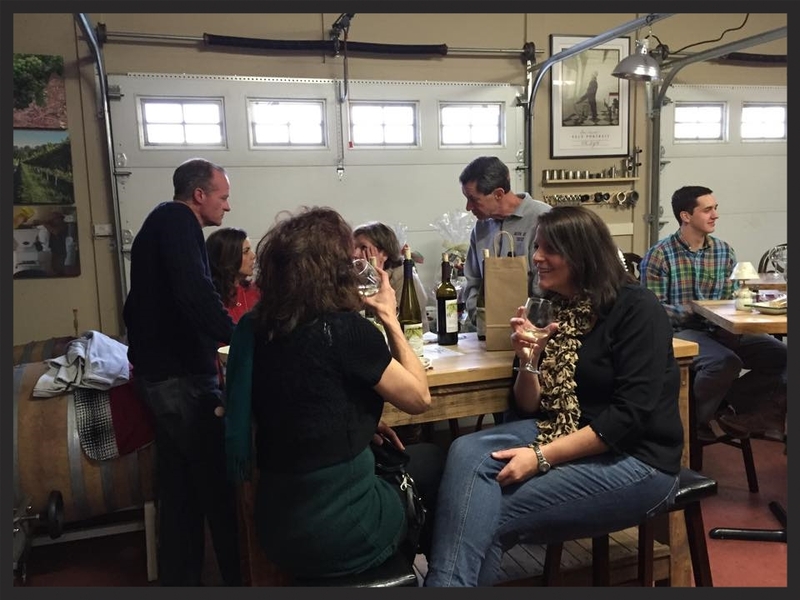 To mark our first year of being open we decided to celebrate by inviting our customers to the winery for a celebration filled with live music, food, discounted wine, and some great artwork on display. It was an outstanding success. So much so that we are already looking forward to year two! This March we had the privilege to visit Philadelphia's WMMR morning radio show 'The Preston and Steve Show' in studio. We brought in a case of 2013's vintage to share and they even gave us a shout out on air.